February 27, 2018  The central bank remains on track to boost rates gradually, Jerome Powell told Congress on Tuesday in his first testimony as Fed chairman. He said he has seen the economy picking up since December. 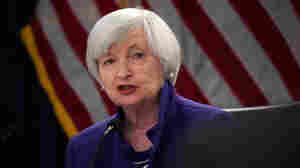 January 31, 2018  As she leaves the Fed's top job, Janet Yellen gets high marks for the way she resisted calls to raise interest rates as the economy began recovering. Instead, she was determined to boost job growth. 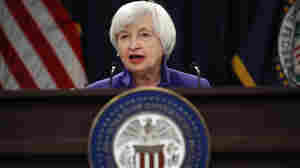 January 31, 2018  Federal Reserve chief Janet Yellen presided over her last policy meeting this week. 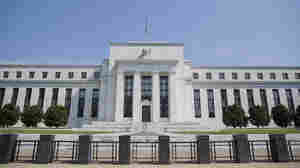 After a two-day meeting, the Fed kept its target for a key interest rate unchanged, as analysts had expected. December 13, 2017  Policymakers increased a key rate for the third time this year. The quarter-point move indicates the Fed is confident in the economy as it continues to recover from the financial crisis. Is This The Right Time For a Big Tax Cut? 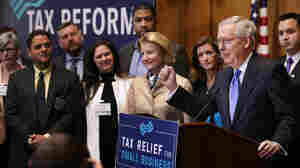 December 4, 2017  The rationale behind the GOP tax plan is that the economy needs stimulus. But it's already growing and near full employment. 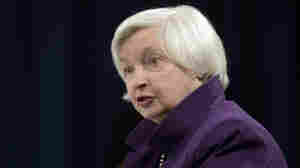 And the plan could be undercut by the Fed as it raises interest rates. 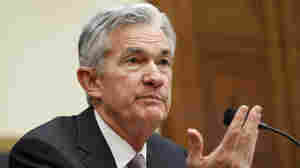 November 28, 2017  Jerome Powell's confirmation hearing went smoothly, putting him closer to being confirmed as the Federal Reserve's next chairman. 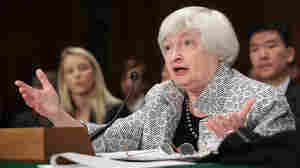 He suggested he'll continue the policies pursued under Janet Yellen. 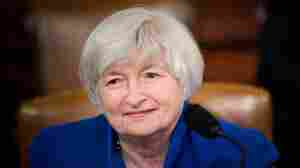 November 20, 2017  Janet Yellen says she'll step down from the Federal Reserve Board when her successor as chair is sworn in. 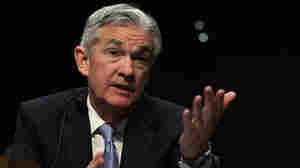 Earlier this month, President Trump named Jerome Powell to be the next Fed chairman. November 2, 2017  As Fed chair, Janet Yellen helped the central bank largely achieve its mandate to engineer full employment while keeping inflation at a level that fosters growth. November 2, 2017  President Trump has named Federal Reserve Gov. 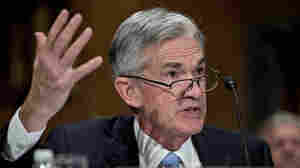 Jerome Powell to head the U.S. central bank. 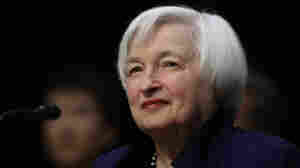 If confirmed by the Senate he will succeed Janet Yellen, the first woman to serve in the Fed's top post. November 1, 2017  At what could be one of Janet Yellen's last meetings as Federal Reserve chair, policymakers decided to keep short-term rates unchanged. But analysts are looking for a rate increase next month. October 25, 2017  President Trump could ask Janet Yellen to stay on as Fed chair, but other names are also circulating. 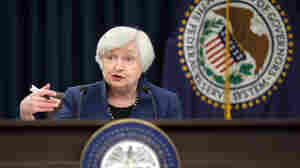 Will the next chief lead the central bank to boost rates more quickly than currently planned? 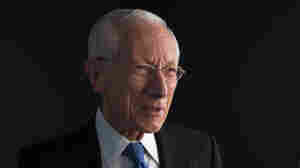 October 11, 2017  Stanley Fischer says that despite record highs in the stock market — boosted by the Fed's low interest rates — he doesn't see a bubble. 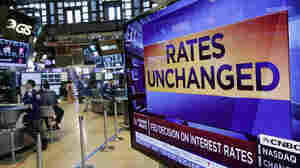 But he says the U.S. debt could be a problem if rates go up.